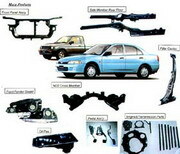 Thailand automobile parts cover the the following categories: Automobile Body & Panels, Automobile Brake Components, Suspension Parts, Automobile Electrical & Electronics, Automobile Upholstery, Batteries, Car Care Products, Glass, Accessories, Plastic Parts, Engines & Engine Parts, Tires & Rubber Parts, Automobile Air Conditioning. Thailand's automobile industry is flourishing with many far east manufacturers (Japanese) and European automobile manufacturers setting up factories to produce for the home market here in Thailand and for export to their respective worldwide markets. 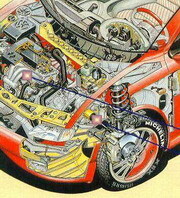 B S G Group Co., Ltd.
BSG Group was established in 1988. The company is a distributor of automotive glass, bullet resistance glass, and security film. Realized that automotive glass is the important element to the safety of car structure, BSG has been selecting only glass certified by OEM assembler or only real parts. BSG has its own factory and is ISO 9002 certified. 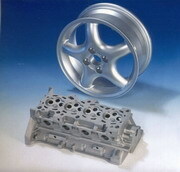 The company’s produce always meets quality standard and customer satisfaction. BSG provides one-year guarantee for its produced glass.